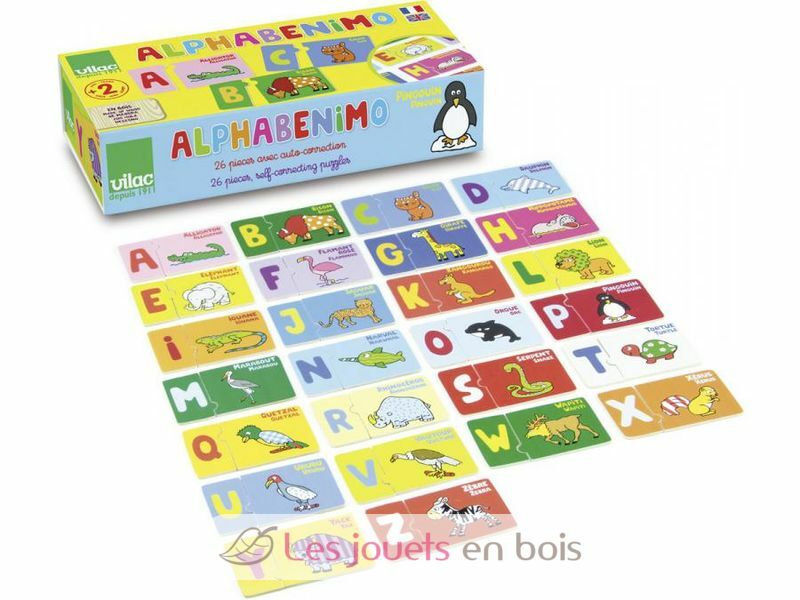 ABC animals puzzle French/English made by Vilac, item number 6700. 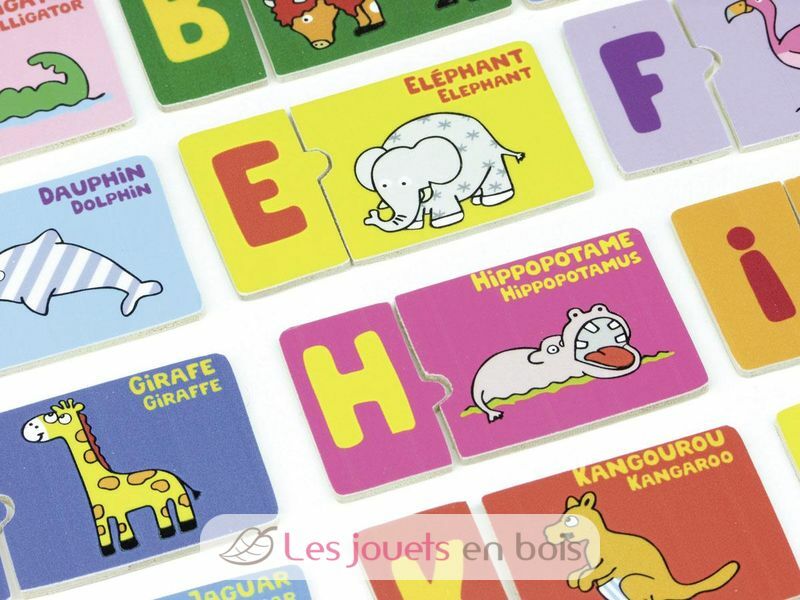 ABC animals puzzle French/English to learn to read and write and learn about another language. Contents 52 pieces.